The base metals of brass coated with a skinny layer of gold plating adds to the cliquishness of the bangles simply fit each lady. 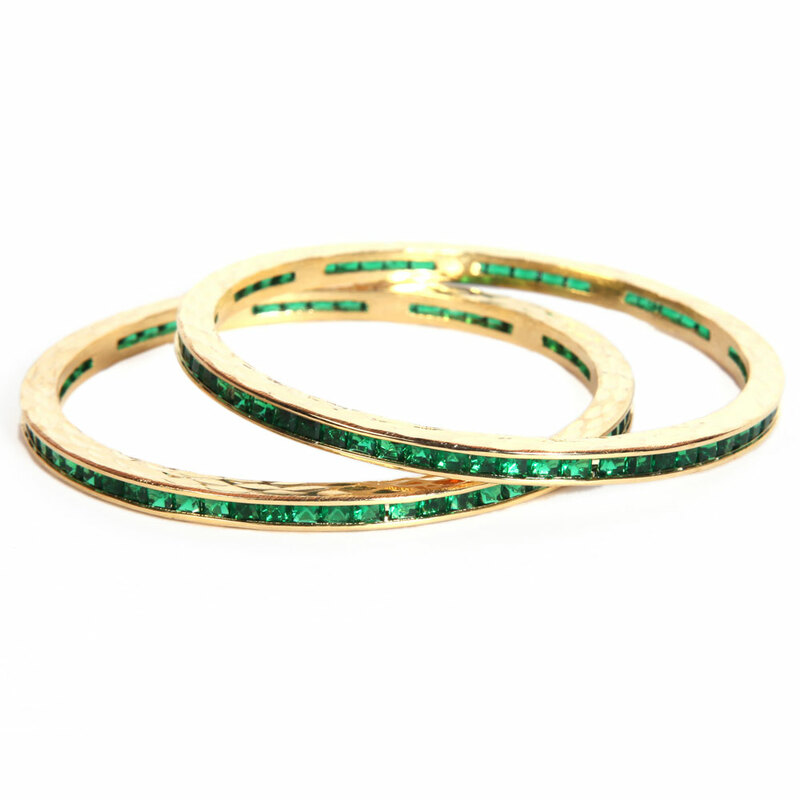 This glistening dark green colour of the stones that adorn the upper circumference of this pair of simply designed fashion bangles presents and auspicious look. Read More..The base metals of brass coated with a thin layer of gold plating adds to the exclusiveness of the bangles just fit for every woman. Show Less..